Centralia, WA. – September 29, 2008 – Centralia Outlets announces the Grand Opening of an Aéropostale Outlet on Friday, October 10. The store will be located at 1322 Lum Road. The grand opening weekend activities will include refreshments, discounts, and drawings. Aéropostale is a specialty retailer of casual apparel and accessories principally targeting 14 to 17 year-old young women and men. The company provides a focused selection of high quality, active-oriented, and fashion merchandise at compelling values. The store’s location on the west side of the freeway off I-5, with it’s close proximity to other young oriented stores, Quiksilver and Volcom, will create a fabulous assortment of clothing and accessories for this segment of the population. Volcom had a very impressive opening in July 2008 and the addition of Aéropostale Outlet will further strengthen the shopping opportunities for this demographic. 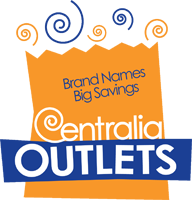 The Centralia Outlets has over 30 outlet tenants, including national brands Polo Ralph Lauren Factory Store, Nike Clearance Store, Eddie Bauer Outlet, Van Heusen, Helly Hansen, L’eggs Hanes Bali Playtex, Lane Bryant and Bass, among others. Recent openings include Bath and Bodyworks Outlet on September 8 and Volcom Outlet in mid July. The center has been aggressively pursuing new tenants and additional announcements are expected shortly. The merchandise represented at the mall includes everything from kitchenware, shoes, apparel, luggage, and toys. The Centralia Outlets opened in 1988, becoming the first outlet shopping center in the Pacific Northwest and is in it’s final weeks of a major renovation. Travelers have long recognized it as a preferred stopping point on the trip between Seattle and Portland.